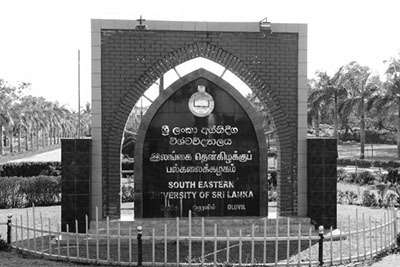 The students of the Language Department of the South Eastern University of Sri Lanka excelled and won first three places and six other consolation prizes in the Research Article Competition among the Universities conducted by Department of Hindu Religious and Cultural Affairs for the year 2016 in National Level. The Prize Giving ceremony of the competition was held at Wellawatte New Kathiresan Hall recently with Minister of Rehabilitation, Resettlement, Prison Reforms and Hindu Religious Affairs DM Swaminathan as the Chief Guest. Here, the prize winners are pictured with the Vice Chancellor Prof. MMM Najim soo after their awarding ceremony. 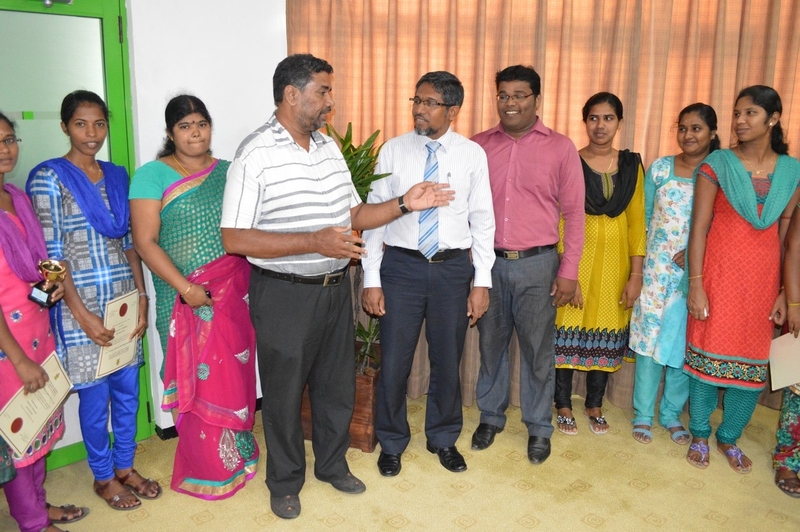 Prof. Rameez Abdullah, Head of Language Department, N. Subaraj, Lecture in Hindu Civilization and Ms. S Selvekumar, Lecturer are also seen in the picture. 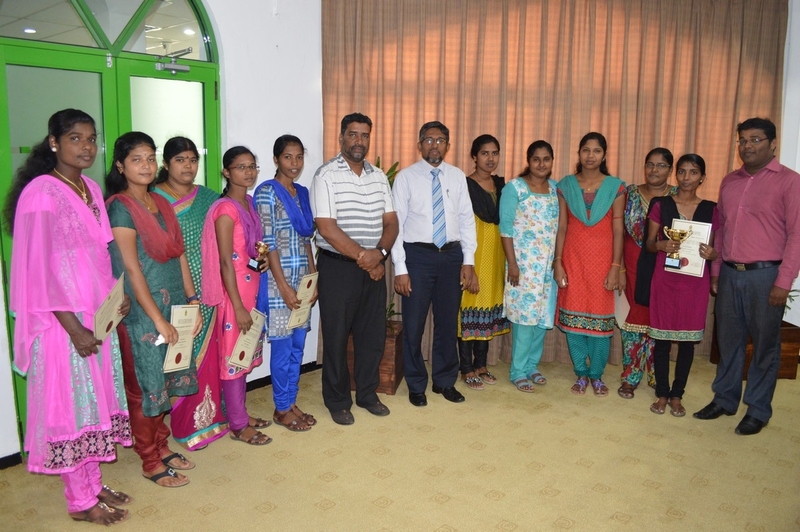 The first three prize winners are Ms. Jeyedeepa, Niranjani and Gopika while Premila, Sivasangari, Umapiriya, Gajitha, Ganjendini and Nirojini received the consolation prizes.